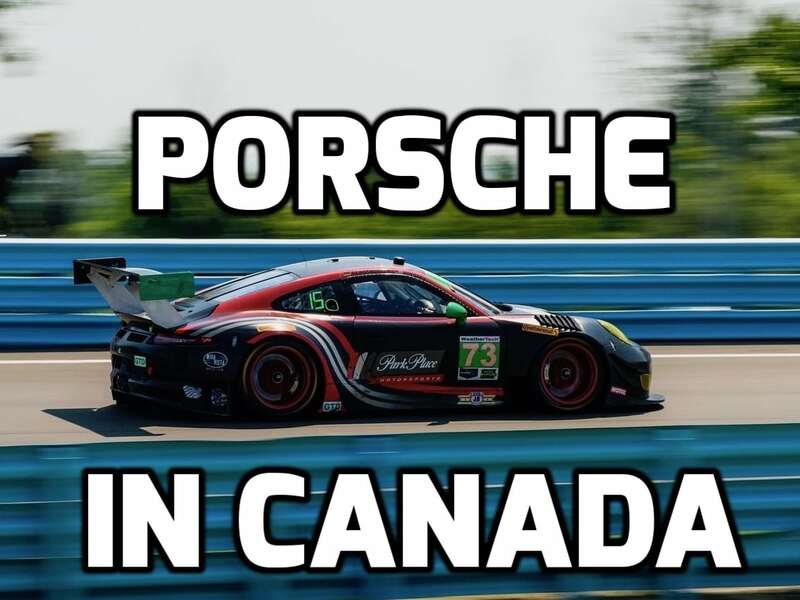 After a difficult and hard-won podium at Watkins Glen, Porsche has dropped one spot in the IMSA manufacturer championship. Now, they're coming back with a vengeance. In the only Canadian event of the IMSA Weathertech Sports Car Championship, Porsche is positioned for a banner showing. In the previous race in upstate New York, the team suffered from a badly timed caution which dropped them from first and second to fifth and sixth. Within the last hour of the race, the team managed to take back two positions, grabbing third and fourth. Ford's factory team took the winning spot, which gave them enough points to take the season lead from Porsche. Now, Porsche is ready to take their lead back. This weekend, the team is competing at the Canadian Tire Motorsports Park in Ontario, and as practice comes to a close, they have the two top positions. The team is fielding two Porsche 911 RSRs, numbered #911 and #912. This race will be a departure from the racing paradigm which came from the 6-hour, 100-degree event in New York, and the short, intense race will be worth watching. The biggest challenge in this race is the compound effects of a shorter race time on a difficult track. Pascal Zurlinden, Director GT Factory Motorsport commented on the challenging strategy of the event.“This demanding and fast racetrack offers very little chance to overtake. That makes it all the more important to claim the best possible starting position for the race." Passing opportunities will be rare, and they will not last long, which means the Porsche team will have to repeat their practice success in qualifying. The two cars are the #911 RSR, piloted by Patrick Pilet (France) and Nick Tandy (Great Britain), and the #912 RSR driven by Laurens Vanthoor (Belgium) and Earl Bamber (New Zealand). The qualifying begins today at 12pm ET, and the race begins tomorrow at 2:05 ET.